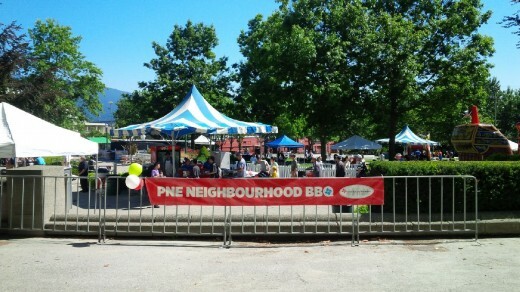 The PNE has been a proud member of the Hastings Sunrise Community for 105 years, and boy have we seen the neighbourhood change! It seems that every day there is a new trendy restaurant or artisan cafe popping up and new families moving into this ever evolving, but always vibrant community. 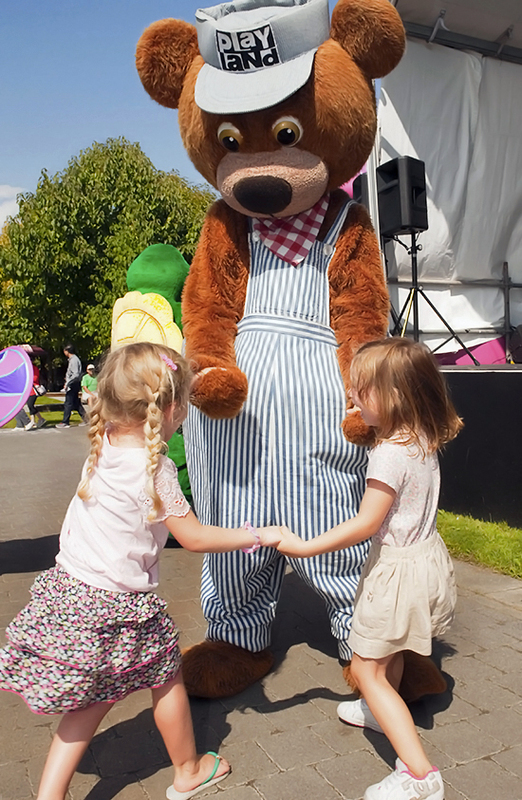 We strive to not only produce attractions that all of Greater Vancouver can enjoy, but also events for our neighbours including a Farmers’ Market, annual Community Day at Playland and a Community BBQ. We’re also proud to host and support the events and initiatives of local community groups including this weekend’s LightWaterDrums lantern festival, community park walks, a Terry Fox Run for the local schools, an Easter egg hunt, the Learn to Fish Programs in the Sanctuary and numerous local conferences, workshops and festivals. 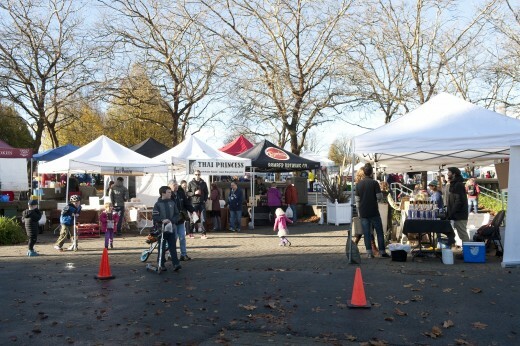 The 2014 Winter Farmers’ Market ran every Sunday throughout October and November here at Hastings Park. We are excited to announce that the market will return this spring, fall and winter! More details to come! 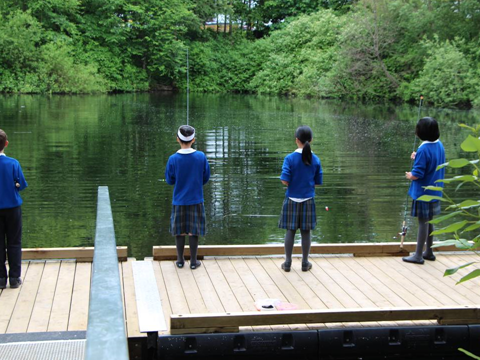 Did you know that you could learn about fish identification, conservation, safety, proper fish handling, tackle, rod rigging, casting and enjoy an hour of hands on fishing at the Sanctuary? The program starts up again March 14. 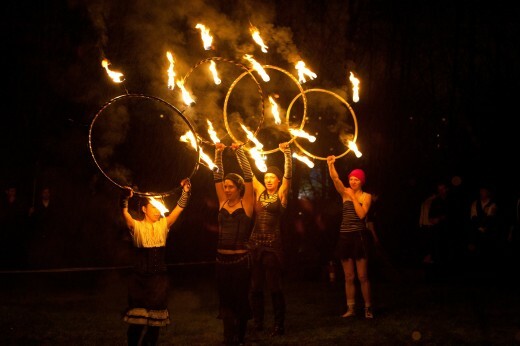 We are proud to once again host LightWaterDrums this Saturday, January 24, from 5:30-9pm. Come out to the free lantern festival and celebrate the beauty of the dark and wet winters of Vancouver. 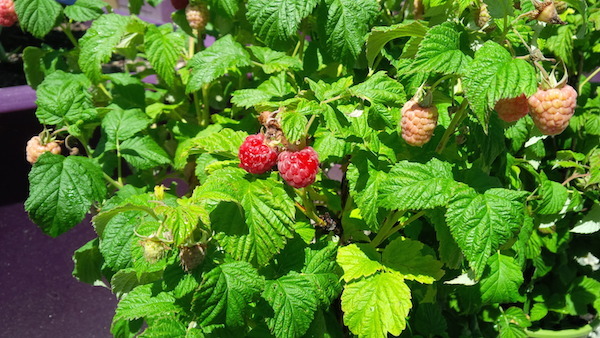 At the launch of summer, we host a free Hastings Sunrise neighbourhood BBQ to bring the community together in the beautiful garden’s and parks here at Hastings Park. 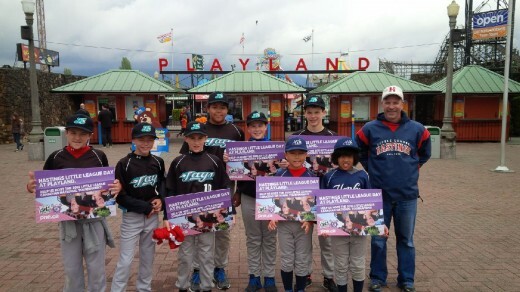 Since 2012 we have hosted a Hastings Little League day at Playland. $10 from every ticket sold on the day is donated to help the league in hosting the 2016 Little League Canadian National Tournament. In total $67,380 has been raised. 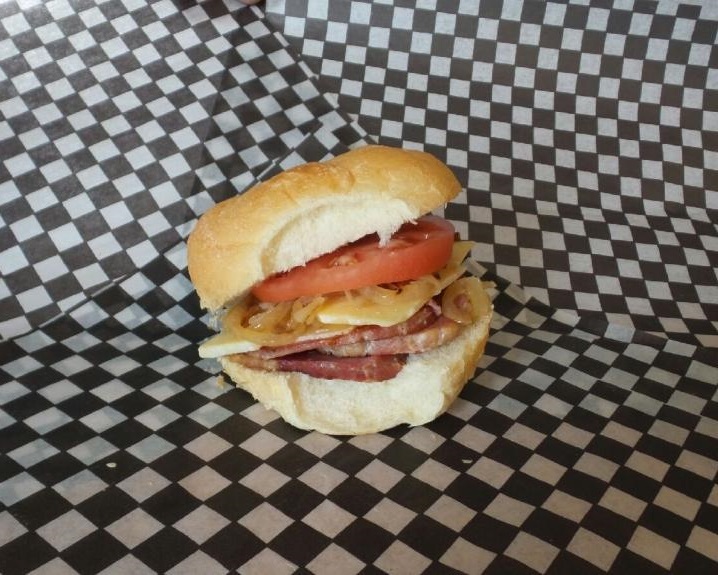 We are happy to support our community’s events and festivals. 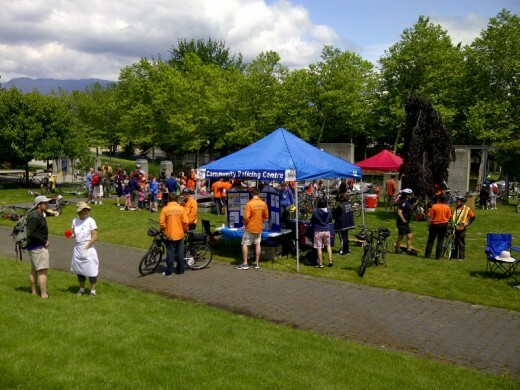 In events like the community Bike Fest we provided waste stations, bike racks, clean-up crews and administrative support. As we move forward with Hastings Park permanently being our home we will continue to grow our connection with the local community with continuing to build our programs and outreach. Check out all of our Community Relations initiatives and for local residents, make sure you’re signed up to receive our community e-newsletter to keep up with what’s happening here at Hastings Park. This entry was posted in Community, Events and tagged BBQ, community, East Van, East Vancouver, East Village Vancouver, Family, Farmers market, fishing, food, hastings, Hastings Little League, Hastings Sunrise, LightWaterDrums, market, nature, neighbourhood, non-profit, Playland, Sanctuary, vancouver, Vancouver East Village. Bookmark the permalink. I grew up in Coquitlam and spent every year at PNE time working with the jumpers and then the 6 hitch (draft horses). From 1971 to 1986, I also worked at the Racetrack when it was still being leased by JD. I love that you continue to expand what I would like to know is why do you not help the racetrack? It’s a huge part of Vancouver’s history, why not reach out to the horses and the 100’s of employees that rely on the racetrack for survival? I don’t understand why Vancouver and especially the PNE people don’t reach out to them. There was a time when the PNE and Racetrack worked to help one another out, I feel very disappointed that everyone has left Hastings Park to fall by the way side well every thing around it grows. If this has been a consideration why has it not been followed up, if it has not… then why not? The owners of the Racetrack obviously don’t care one way or another. They would be happier to tear it down and build a Casino I’m sure. The track is a huge part of Vancouver’s history, it’s a shame no one is willing to help keep it thriving? The PNE and the Hastings Racetrack are definitely huge parts of Vancouver history and we’re glad that you have been a part of that! Although Hastings Racetrack occupies a portion of space within Hastings Park, Hastings Racecourse is a separate business, one that is wholly owned by Great Canadian Gaming Corporation. The PNE and Hastings Racecourse operate separate businesses, but both do support each other the best we can. We have a great working relationship with the racetrack and we do our best to ensure our activities don’t negatively impact their operations. The PNE helps by promoting their events periodically via social media and on our large readerboard by Hastings and Renfrew. Rest assured, we’re always willing to lend a hand to our neighbour, as we know they’d do the same for us.